If you had the good fortune of being in Europe a few days ago, you likely witnessed an astrophysical phenomenon in which the moon either partially or totally covered the sun. If you happened to be looking up at the sky, we sure hope that you were wearing protective eye gear! Since the next total eclipse of the sun won’t be seen in Europe until 2090, amateur and professional photographers alike pulled out their cameras to take snaps of the moon’s transition as it cast day into night. This obviously led to some pretty cool shots. 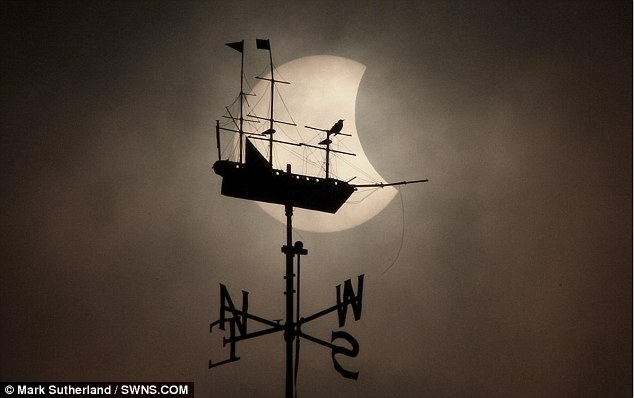 One such photographer, Amy Shore, was no exception and managed to capture one of the cooler eclipse shots of the bunch. In one of her photos, Shore was able to catch the silhouette of a bird that seemed to fly straight into the eclipse. Maybe it’s the juxtaposition between the fantastic and the everyday that makes this photo so awesome. Maybe it’s the slightly eerie image that evokes an almost Edgar Allen Poe vibe. Whatever it is, we can all agree that this is a pretty sweet picture. This is such a cool shot, it definitely wins the prize for our favorite of those provided by the eclipse. Of course, there were several honorable mentions involving birds either in flight or at rest that we loved as well. What can we say, birds and eclipses are kind of our favorite at the moment. While this one in Birmingham, England seems to wanna fly the coop. Despite the fact that it appeared to be night in the middle of the day, it was business as usual for this guy in Bridgwater. We found the Hitchcock of birds in Munich. 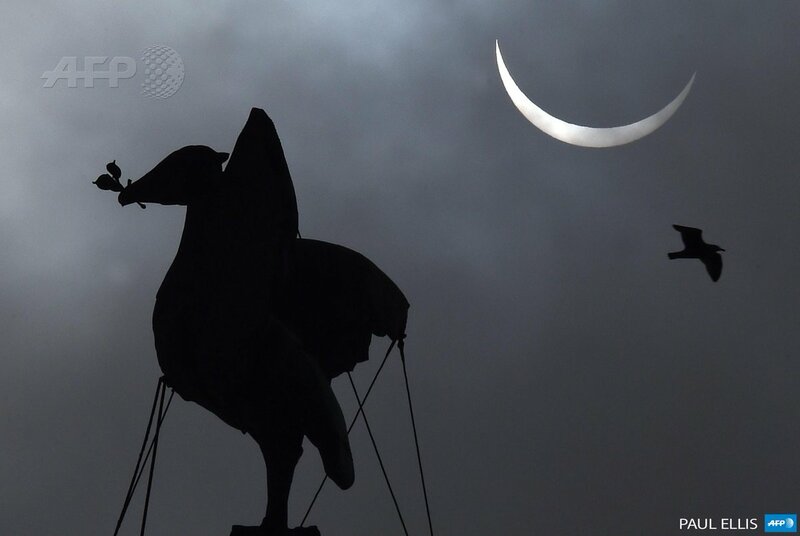 Both real and statue birds enjoyed the view from Liverpool. This photo from Bridgwater would be cool without the eclipse. The fact that the moon is overtaking the sun in the background makes it look almost fake. Avast! Thar be some freaky business afoot over Port Glasgow, Renfrewshire.